This sermon on the centered and balanced life is going to be much easier to follow by listening to the audio than it is by reading the notes. The notes are more of an outline for the sermon than they are a transcript. The balanced life requires you to keep your natural man and your spiritual man in balance. The natural man is not bad [1 Cor 6:19-20] he just doesn’t “get” spiritual things. Likewise, you are not going to successfully address natural problems by dealing with the spiritual man. For your spiritual man to function well, you must take care of the natural man. He needs rest, moderate exercise, proper nutrition, emotional stability and so forth. The spiritual man needs plenty of Bible, prayer, spiritual music, spiritual fruit and so forth. There are several things to consider in a balanced life. The fulcrum of balance is not the same for every person. Some men, like Daniel, lean a little more to the spiritual side. Some men, like Nehemiah, lean a little more to the natural side. Martha was more natural; Mary was more spiritual. In Luke 10, Martha was off balance. 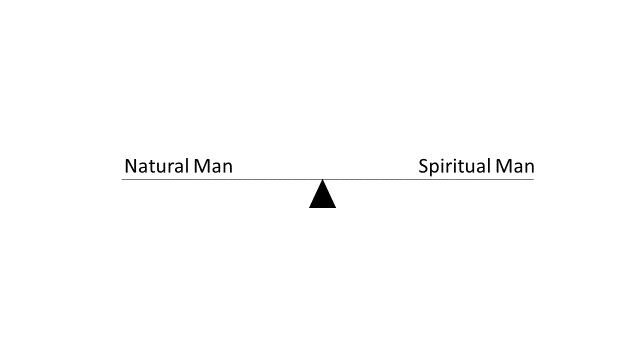 In Jn 12, Martha was balanced. Yet in both places she was doing exactly the same thing. The fulcrum of your balanced life may slide one way or the other over time. David was more natural when he was a young man and he was more spiritual as an older man. Samson was way over on the natural side, yet he is mentioned among the heroes of the faith in Heb 11. Isn’t that strange? If you try to deal with a natural problem by spiritual means or a spiritual problem by natural means, you’re going to be in a mess. While the spiritual man can help with anger [Eph 4:26; Gal 5:23] a lot of trouble with anger is natural [Prov 25:28]. You can fast and pray all you want. Until you deal with the underlying natural causes you aren’t going to get a full handle on your anger. Depression certainly has some spiritual causes that must be addressed. But for many people depression is a problem with the natural man. You can fast and pray till Jesus comes; if you don’t deal with the natural causes you are going to still be depressed. The key is to get these two men balanced and to keep a balanced life throughout each day. When they are balanced you will be able to more readily identify the source of the next thing that is throwing you off balance. And you can deal with that new thing and get back into balance. The centered life is a bit different than the balanced life. The centered life has to do with keeping you from being pulled in so many directions at the same time. There are many things in your life that put demands on your time. It is very easy to feel like you are being pulled by your spouse one day and to “make up for it” the next day by doubling up on your schedule. Then on the third day, after neglecting your quite time with the Lord, you get up extra early to read and pray. And by the fourth day you are exhausted and frustrated because you have missed your exercise and cut your sleep short. Then you get cross ways with your wife, and you’re ready to skip church so that you can catch up on your rest. The trouble with that life is that it is self-centered. 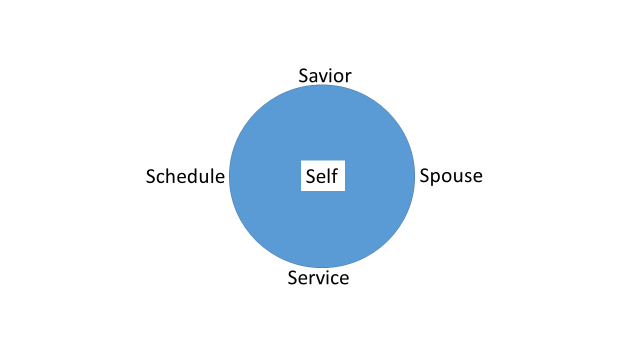 Many Christians are self-centered and they have difficulty balancing all that they have to do. We’ll give you some pointers that have worked for me. Hopefully, these will give you an idea how you can center your life in Christ and balance your natural and spiritual man. Get alone with the Lord – Is 50:4; Mk 1:35 – Jesus rose very early and spent plenty of time with the Father. Find your time to get alone with God and let him waken your ear to hear as the learned. You need plenty of time with him. Get some help – Mk 3:14 – the Lord ordained 12 apostles to help him. You cannot do everything by yourself. You need help. It takes more time at first to train people to do the work the way you want it done. But in the end, it pays big dividends. Take the Lord’s yoke – Matt 11:28-30 – the Lord said that his yoke was easy and his burden was light. You cannot carry your yoke and the Lord’s yoke at the same time. So, take your yoke off and take his yoke upon you. The best way to do this is to tear up your list and do what pleases the Lord. Cut out the distractions – 2 Cor 10:3-5 – any imagination or any thought that exalts itself against the knowledge of God needs to be brought into captivity to the obedience of Christ. In order to trust the Lord and have him direct our paths [Prov 3:5-6] we must be able to acknowledge him in all of our ways. You can’t do that if your mind is distracted by other thoughts and imaginations. Walk with God – Heb 11:5-6 – like Enoch, who is our type in the Old Testament, if we are raptured before we die, we need to walk with God and please him. Don’t compartmentalize your life and leave the Lord at home after your morning devotions. Walk with him all along the way. 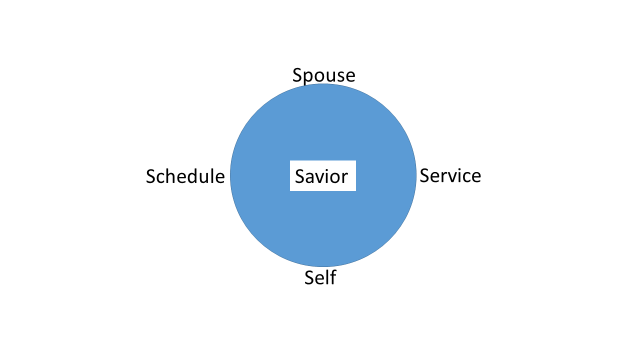 Conclusion: balance your life and center your life in Jesus Christ. When you do, keep your natural man and your spiritual man on an even keel and keep Jesus right in the center of all that you are and do. When you find your balance tipping one way or the other and when you sense that you are moving to the middle and Jesus is moving to the edge, rebalance and re-center your life.